328 pages | 32 B/W Illus. This book examines global environmental governance and how legal, institutional, and conceptual reform can facilitate a transformation to a new ‘natural-systems’ form of agriculture. Profound global climate disruption makes it essential that we replace our current agricultural system – described in this book as a fossil-carbon-dependent ‘modern extractive agriculture’ – with a natural-systems agriculture featuring perennial grains growing in polycultures, thereby mimicking the natural grassland and forest ecosystems that modern extractive agriculture has largely destroyed. After examining relevant international legal and conceptual foundations (sovereignty, federalism, global governance) and existing international organizations focusing on agriculture, the book explores legal and institutional opportunities to facilitate dramatic agricultural reform and ecological restoration. 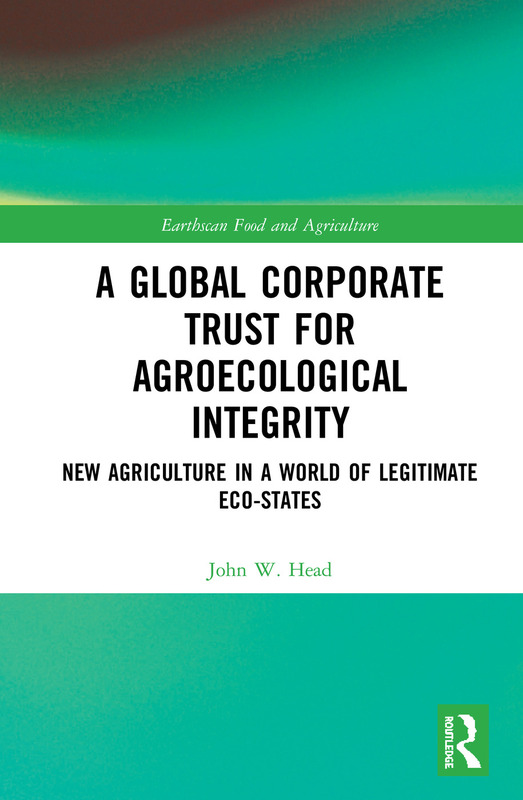 Among other things, it explains how innovative federalism structures around the world provide patterns for reorienting global environmental governance, including what the book calls eco-states that would, through exercise of pluralistic sovereignty, be responsible for agroecological management. Drawing from his experience working in international institutions, the author provides detailed global-governance proposals for facilitating the type of agricultural reform that can help avoid ecological collapse, especially through soil degradation and climate change. This book will be of great interest to students and scholars of international law, agroecology, climate change, ecological restoration, sustainable development and global governance, as well as policymakers and practitioners working in these fields. John W. Head is Wagstaff Distinguished Professor of Law at the University of Kansas School of Law, USA. Previously he worked for ten years in legal practice. He is the author of several books on international law, including International Law and Agroecological Husbandry (Routledge, 2016).